I make my tote bags with zippers on the top a little differently that what I've seen so far here. I think I just developed it from looking at all the other tutorials, and by making some tote/purses with store bought patterns. Don't know if my instructions here will make sense to anyone else but me, but here's the basic explanation of the construction of this bag. It is two rectangular pieces of fabric. To the outisde fabric you attach the handles. To the lining fabric you attach whatever pockets you want. Then you sandwich these two rectangular fabrics (with wrong sides together) and baste them together around the edges. Attach the zipper to the top edges of the bag, sew together the sides of the bag, leaving the zipper partially open for turning. For this bag, I cut my fabric 13 in. X 24 ½ in. Cut one out of each lining and outside fabric. I usually use iron on interfacing to the fabric also. The finished bag was 12 inches wide, 12 inches tall with a 2 1/2 inch wide bottom. Cut fabric for handles. 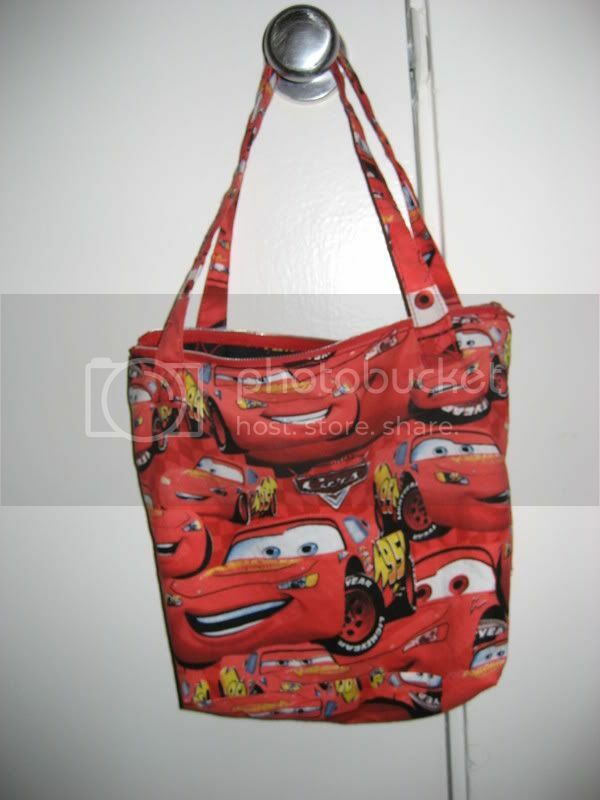 For this bag, I cut this fabric 49 ½ in. X 4 in. (and interfacing, if needed). Fold handle in half lengthwise, press. Unfold, fold each side in to meet center line and press. Sew together. 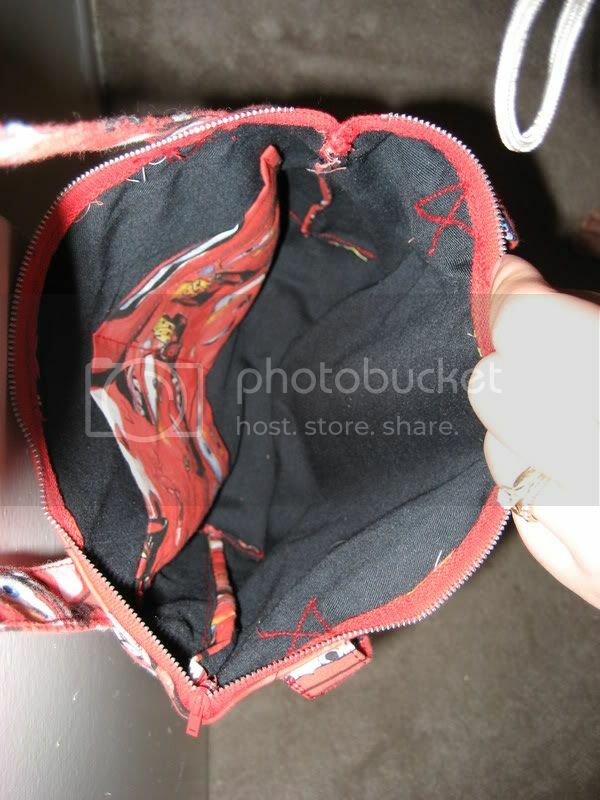 Attach whatever pockets you want to the piece of lining material. Pin lining fabric to the outside fabric, wrong sides together. (This is the sandwich part!) Baste edges together, very close to ends. Fold back handles when sewing around top edge. Pin zipper, face down, on to top edge of right side of outside fabric, sew. You may have to unzip the zipper to sew past the zipper pull. Press, sew along edge of zipper line. This helps the zipper lay better. 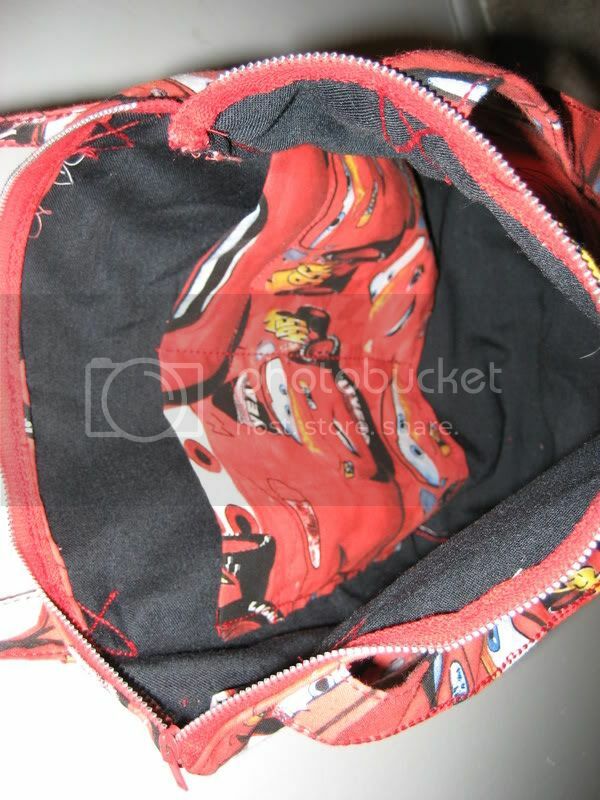 Fold bag in half with outside of bag to the inside so that you can lay the other half of the zipper, face down, on the right side of the other top edge of outside fabric, pin & sew. Turn right side out, press and sew along edge of zipper line like above to help it lay better. Turn bag inside out, so outside of bag is in the middle. Leave the zipper unzipped about 2/3. This will be the opening to turn the bag right side out. Now pin sides of bag together, sew (leaving zipper open about 2/3rds). You should have a square now with the bag inside out and the zipper on top. Make sure handles are tucked in away from sewing area. After you have sewed the sides of the bag together, there will be ugly edges left on the inside of the bag. Either cut with pinking shears or get fancy and make you own bias tape to sew over the ugly edges. Turn bag inside out and you're done! I just skimmed the tut, but it looks like it's the same way I do most of my zippers. Thank you for a well-written and easy to follow tutorial. Just wanted to say Thank You for posting this. It looks great. Your tutorial is great too. 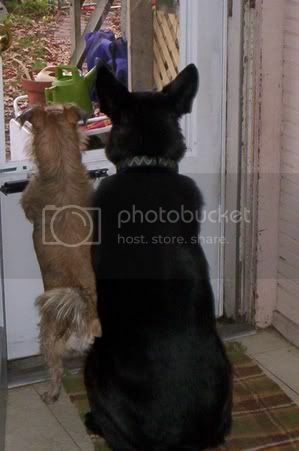 I think I will try this next week when we get completely moved in. i have a solution to the "ugly edges inside" thing. if you're not using interfacing or anything in between the fabric and lining (unless you can think of a way to do it), put the fabric and lining right sides together and stitch along the long edges (not the edges where the handles will go) and flip it inside out before you go any further with it. is that helpful? i plan to do it when i make a tote like this, so i'll come back and put up pics. Son won't you play me a memory? When I wore a younger man's clothes. Yay! I love this, it is sooo easy. I just made this bag, with a few minor modifications, which I should have paid attention to while I was doing, because now I don't remember how I did them:( But I really like how it came out, my 2 yr old will like it even more! Thanks! Soo... yeah. Is this where I write somethin witty? thanks! i hope i can use this soon! Everyday Tote - Ahsoka Tano "The Clone Wars"